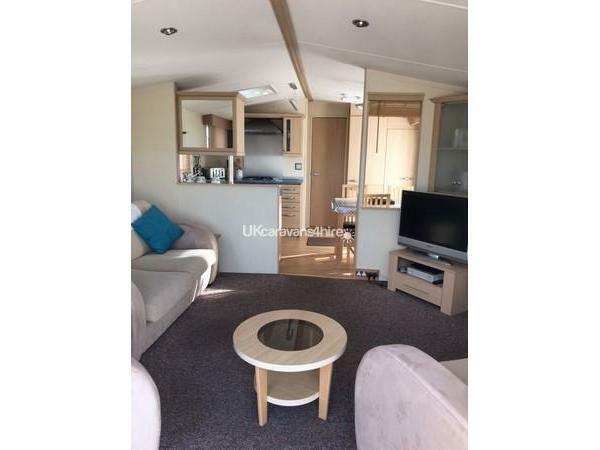 The non refundable deposit is £50 per week booked, with the final balance due 6 weeks prior to arrival. For a copy of our Terms and Conditions please use the email address on this web page. 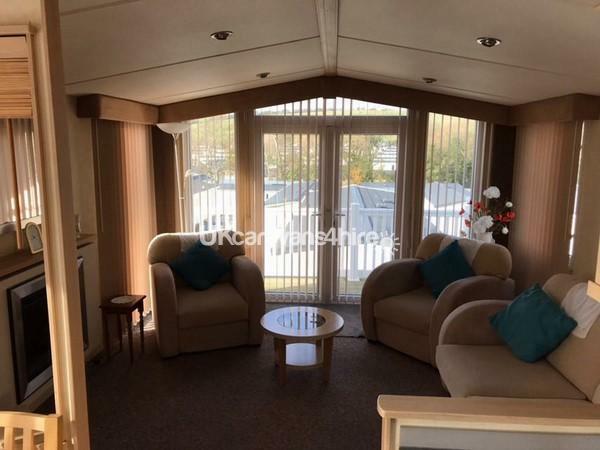 Our caravan is double glazed and centrally heated throughout complete with French doors onto raised sun deck with beautiful sea and country views. We have tried to provide home from home comforts to ensure that you have the best possible holiday. 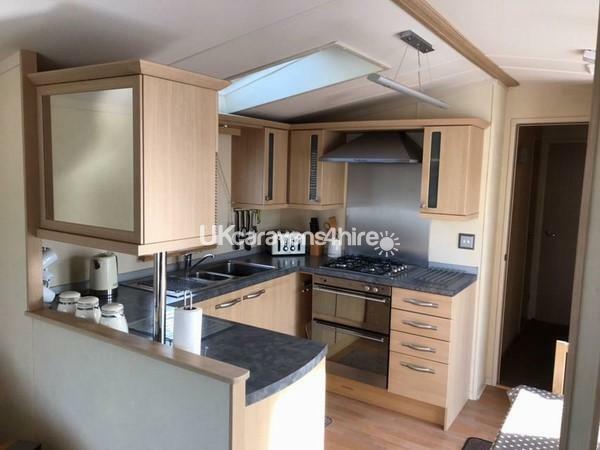 2 bedrooms, 1 double with a king size bed and en-suite shower room , and a twin. 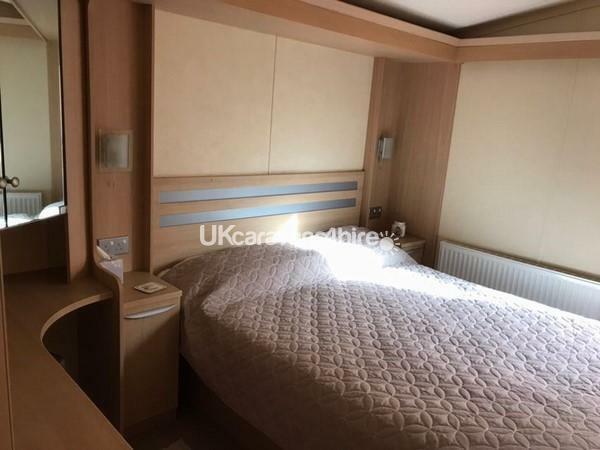 All duvets and pillows are included; bed linen can be made available at a small charge and will be in your caravan on your arrival, but will need to be confirmed at time of booking. Waterside Holiday Park & Spa is a 5* family orientated site with excellent amenities which include: Indoor/outdoor heated pools, gym, sauna, steam room, spa, restaurant, take away, site shop, and launderette. There is also the Waves Sports bar with multi view Sky Sports, children's activity and a Costa Coffee. Opposite the main entrance is the “Waterside Venue” family entertainment centre, featuring top acts throughout the season. The beach is only 100m from the park entrance with its own leisure centre, fun-fair, café etc. A regular bus service is operated from the park to the town centre with its Blue Flag beach. Weymouth has so much to offer in the way of attractions, which include Sea Life Centre, Ten Pin Bowling, Nothe Fort, The Sea Life Tower, Sand World and much more. Brilliant location on a lovely park. 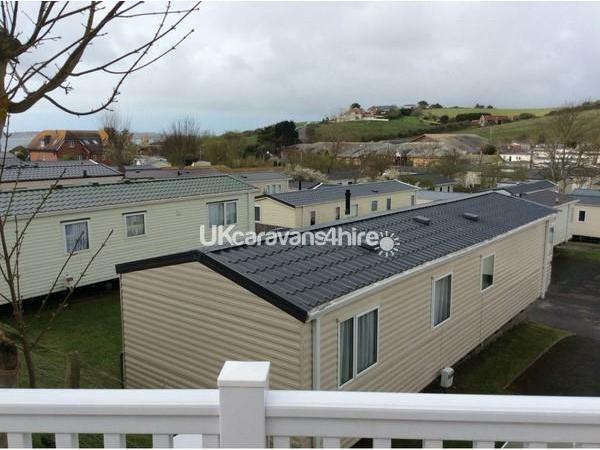 Fantastic views from caravan, overlooking hills and sea. Really clean and tidy. Owner extremely helpful and friendly. Has everything you could need for a wonderful holiday!